Classic and timeless, brogue shoes have come a long way from their humble roots in rural Ireland. Brogue shoes, recognizable by the serration and perforation along the exposed edges of their leather upper construction, were originally designed for easy drainage when trekking through damp terrain. 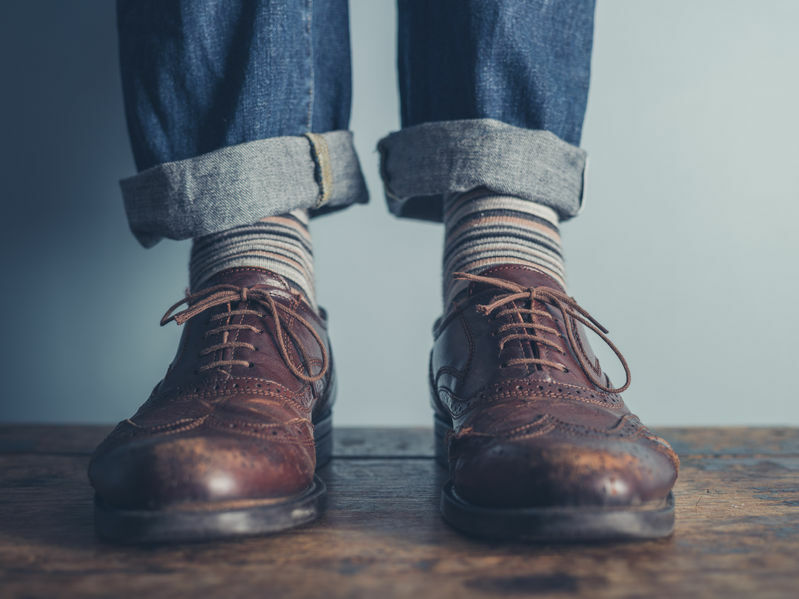 Brogue shoes take their name from that ubiquitous perforation, or “broguing.” However, the perforations in modern brogues are purely decorative, adding an extra touch of visual interest to the shoe. 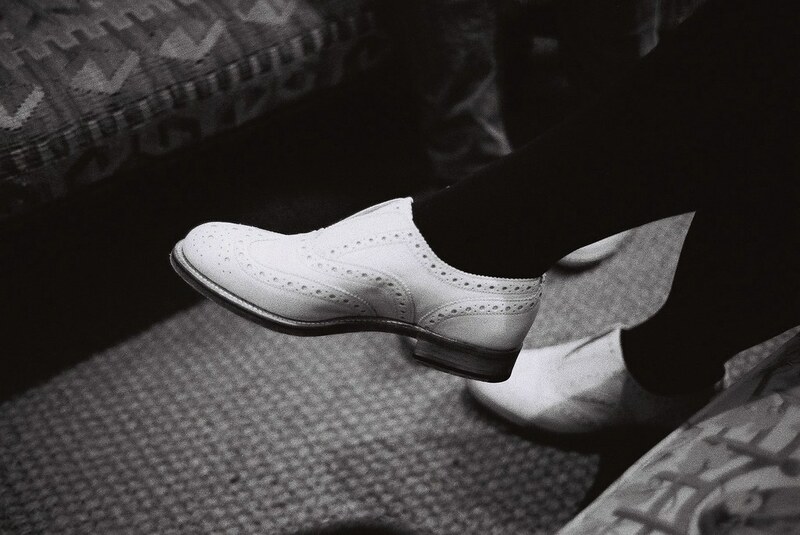 Brogue shoes are most commonly oxfords, although brogue-style boots and slip-ons are also widely available. True brogues are constructed from leather in traditional colors: brown brogue shoes are common, as are tan brogue shoes and black brogue shoes. Suede brogue shoes are also stylish, but don’t even think of wearing those while wandering through a marshy Irish field! More commonly known as the wingtip, the full brogue is known for its pointed toe cap that stretches out toward the ball of the foot on either side of the shoe like a pair of wings skimming the sole. Both mens brogue shoes and ladies brogue shoes are widely available in the full-brogue style. Full brogues may or may not have additional decorative patterns of perforation on the toe cap. When the toe cap and heel cap are made from a contrasting color, the brogues are known as spectator shoes. Full brogues are the most casual of the brogue shoes. Quarter brogues have a more understated cap toe which is cut straight across. Although it has the characteristic serration and perforation across the visible edge of the cap toe, the shoe typically has no decoration beyond that. The quarter brogue is the most elegant and formal style of brogue, pairing well with upscale business attire. Half brogues fall somewhere between full brogues and quarter brogues. They share the quarter brogue’s smaller toe cap, but the toe cap on a half brogue has additional decorative patterns of perforation. This makes for a shoe that is more casual than the quarter brogue, yet more dressy than the full brogue. Popular in the 1970s, longwing brogues have since fallen out of style. Longwings are similar to full brogues, but the wings of their toe caps stretch fully around the shoe, ending at the heel. Also known as derby shoes, longwings are less popular and harder to find than other brogues. Retailing at around $135, Hush Puppies are one of the most recognizable brogue shoes for men. Hush Puppies brogues are available in black and brown; this five-eyelet lace-up oxford features a sheepskin lining for comfort and hand-burnished leather for optimum style. 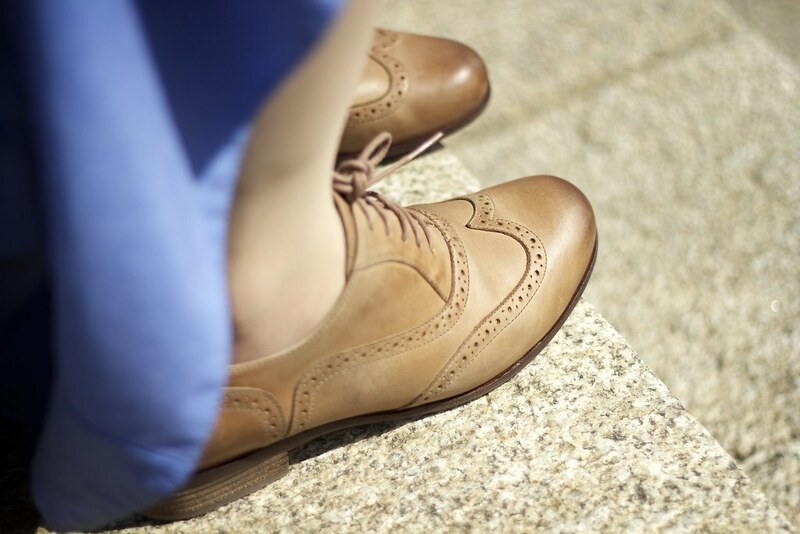 In the Zerogrand Wing Oxford , Cole Haan offers an intriguing style of brogue shoes for women. The Zerogrand ($198) combines an almost sneaker-like casual appearance with the classic styling of a suede brogue. Available in a selection of both traditional and more whimsical colors, the Zerogrand adds a comfortable and feminine touch to the menswear trend. The Jeffrey-West Brogue brings a western-inspired edge to the standard brogue. Constructed from gleaming patent leather, these shoes feature a two-inch heel and a red leather lining that peeks through the perforations for an extra flash of eyecatching style. Ideal for the most fashion forward of men, the $595 mens brown brogue shoes from Jeffrey-West are almost reminiscent of cowboy boots. This style offers an eclectic mix of the classic and the unexpected not for the faint of heart! Italian brand Viktor & Rolf brings a similarly unexpected update to womens brogue shoes. Priced in the $600-$800 range, Viktor & Rolf brogues feature details like leather uppers with oversize perforations, tonal stitching, mod color combinations and chunky platform soles. Constructed from Crazy Horse distressed brown leather, the Dr. Martens men’s brogue updates the longwing style with a rugged durability. These $150 brogues feature Dr. Martens’ signature welt construction and pair well with a number of more casual fashion choices. Sebago’s Claremont boot for women , which retails for $165, features a cushioned footbed, a slip-resistant sole and a fashionable stacked heel. This full brogue-style lace-up leather boot is available in several classic color choices and leather finishes. Renowned among boot enthusiasts for both style and comfort, the Sebago Claremont looks great with jeans or casual skirts and dresses. Although they began as a men’s shoe with the most humble of origins, brogue shoes in womens sizes and more feminine styles are now commonplace. This archetypal shoe is a fashion staple for both sexes, and its many varieties make it appropriate for an infinite number of occasions. No matter what you’re wearing or where you’re going, there’s a brogue shoe for you. Previous articleItalian Shoes: The Cadillac of Footwear! Next articleWhen Is The Perfect Time To Wear Boat Shoes?